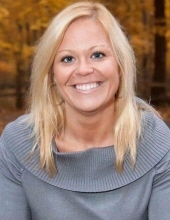 Ashley May Fite, nee Jaakkola, age 36, a resident of Morris, IL and formerly of Joliet, IL, passed away unexpectedly on January 14, 2019. She was born on March 11, 1982 in Joliet, IL. Ashley is survived by her best friend and devoted husband, Eric Fite, Sr.; her cherished children, Brianna, Erika, Corbin, Eric, Jr., and Ethan; her loving parents, Erik and Rhonda Jaakkola, Sr.; her siblings, Aaron Jaakkola, Adam (Brenda) Jaakkola and Rick Jaakkola; her grandmother, Dovie May; her nieces and nephews, Jaaron, Jeffrey, Joseph, Abigail, Jayden, Cadence, Jordan, Elizabeth, Jacob, Alexis and Julian; her parents-in-law, Tina (Ted) Doll and Ray Fite; her sister-in-law, Stephanie (Jamie) Perez; as well as many aunts, uncles, cousins and great friends, especially her best friend, Kristie Davison. She was preceded in death by her grandparents, Dudley May, Viljo and Betty Jaakkola. Ashley was a graduate of Lockport Township High School, Class of 2000. A creative artist, she loved to draw. She enjoyed music and dancing, especially Country & Western. She also enjoyed to go fishing or play a round of disc-golf. Above all, Ashley lived for her family and loved being the best mom to her children and wife to Eric. She will be deeply missed and her memories will live on forever in the hearts of all who knew her. For those who would like to leave a lasting tribute to Ashley’s life, memorials to her family to be used for the future benefit of her children’s education would be greatly appreciated. Visitation will be Friday, January 18, 4:00 until 8:00 PM at the Overman-Jones Funeral Home & Cremation Services, corner of Routes 30 & 59, Plainfield. The Mass of Christian Burial will be celebrated on Saturday, January 19, 11:00 AM at St. Ambrose Catholic Church, 1703 Burry Circle, Crest Hill. Interment will follow at the Plainfield Township Cemetery. To send flowers or a remembrance gift to the family of Ashley May Fite, please visit our Tribute Store. "Email Address" would like to share the life celebration of Ashley May Fite. Click on the "link" to go to share a favorite memory or leave a condolence message for the family.